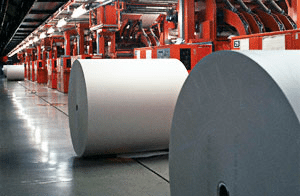 The pulp and paper industry advances with new, faster paper machines every day. This means that demands on lubrication equipment are greater than ever! Why? Because the pulp and paper manufacturing process can be particularly taxing on lubricants: high levels of moisture, heat and dirt are inevitable. In addition, water and particulate contamination are quite common in paper machinery oil reservoirs. In these harsh environments, lubricants must be kept clean and free of water in order to prevent costly downtime. Such downtime due to lubrication failure can cost thousands of dollars, so investing in TRIPLE R filters can be realized by preventing failure just once! TRIPLE R products meet all the challenges of the pulp and paper industry by providing depth filters and purification systems. TRIPLE R has demonstrated effective performance and offers a reliable and affordable solution to continuous purification of lubricants.